Donate ⋆ To provide playful experiences that inspire and educate every child. With the Pop-Up shop campaign underway, the physical need for expansion is clear, but it is only part of the story. Not only does the Baraboo Children’s Museum need expansion, Baraboo’s children need the expanded museum.We have worked to identify some critical impact areas where having a children’s museum would make a profound and enduring impact on children, their learning, and development in Baraboo and surrounding communities. Currently, the Baraboo Children’s Museum provides rich play experiences and a dynamic learning environment with 5 innovative and interactive exhibits. As we plan toward the future, our desire for the Baraboo Children’s Museum is to offer 13 exhibit and programming areas–Agriculture, Circus, Fresh Mart Store/Kitchen, Trains, Building, Climbing structure, Art (Creation Station), Little Buddies (Birth-Age 2), Water Room, Music, Theater, STEM lab/Party Room, and Be With Me (tech free)) Click to see more! All new exhibits will emphasize developmentally appropriate, open‐ended exploration, support formal learning, and help young children learn about themselves, their community, and their world through play. We are asking for your support as we begin our next stage of the Baraboo Children’s Museum! With your financial support today the dream of the Baraboo Children’s Museum can become a permanent reality tomorrow! Amazon has made it even easier to donate to us here at the Baraboo Children’s Museum. Whether you are shopping for us or for your family, with Amazon Smile your shopping will help us raise much needed funds. Remember, always start at smile.amazon.com, select the Baraboo Children’s Museum as your charity of choice, and Amazon will donate 0.5% of the price of your eligible Amazon Smile purchases to us! Smile! Thank you for your willingness to donate to the Baraboo Children’s Museum. 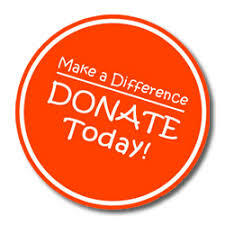 We are a Non Profit 501 (c) (3) and your donations can be tax deductible.